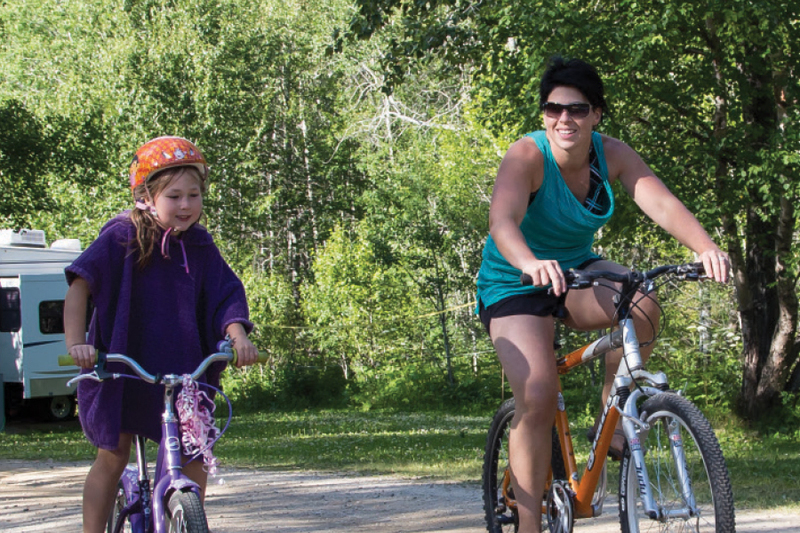 A scenic highway route of approximately 100 km (63 miles) around Lake of the Prairies takes cyclists through four beautiful valleys. From Roblin, travel 15 km (9.5 miles) west (across the lake) to PR482, which will take you south along the lake for approximately 40?km (25 miles) before turning east for 8 km (5?miles). Then travel north on PTH83 back to Roblin. Several campgrounds around the lake allow cyclists to break the tour up into two or more days. This portion of the Trans Canada Trail (consisting of an abandoned CN branch line) begins in Neepawa and continues to Russell, passing through the communities along PTH45. Completed areas are ideal for hiking, walking, horseback riding, cycling, and cross‑country skiing. Most of the 176 kms are groomed for snowmobiling in winter. Symonds “Rails to Trails” Kiosk in Sandy Lake features maps and pictorial histories of the Rossburn Subdivision of the CNR and the village. In 2010, the refurbishing of the entire trail was completed, providing a smoother surface for cycling and horseback riding. In the late 19th century the government of the still?young province of Manitoba found itself in a bit of a quandary: immigrants were flooding into the Parkland area, and some were leaving again, dissatisfied with the lack of good roads and railway connections. Until 1903, the closest railway terminus to Dauphin was nearly 100 km to the southwest at Russell. Construction of the Dauphin?Russell Colonization Road—the Russell Trail as it would come to be known—began in 1891 as a means of providing access from the Dauphin area, which already boasted a population of some 1,200 settlers, to goods, markets and more immigrants via the railway at Russell. One mile of the old trail has been redeveloped for recreational use. Five trails of varying levels of difficulty, from beginner to challenging, are located at Thunder Hill Ski Area.